This three bedroom apartment in Barcelona is perfect for large families and/or groups. 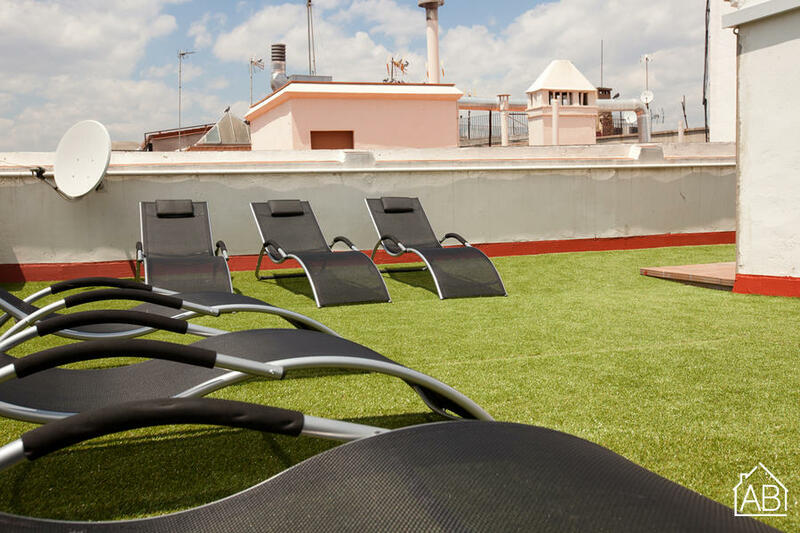 It is located just off Paral-lel street, one of the most well-known in Barcelona, and is just a few minutes’ stroll from the Port and Las Ramblas. It has excellent public transport connections to the city’s main attractions and is surrounded by plenty of bars and restaurants, plus many places for entertainment, including several theaters. This lovely apartment has a fantastic communal terrace, complete with grass, sunbeds and showers - perfect for those hot summer days! The apartment has three bedrooms and can accommodate up to six people. It comes fully furnished and the kitchen is fully-equipped. It also has an Internet connection, a TV, air conditioning and a washing machine - everything you need to make you feel right at home during your stay in Barcelona.